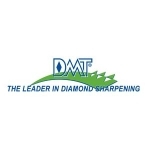 Diamond Machining Technology (DMT�) was founded in 1976 and manufactures a full line of diamond sharpening tools for use in woodworking, camping, fishing, hunting, skiing, culinary arts, gardening, police-security and industrial uses. All DMT� sharpeners are proudly made in the USA. The company has earned seven "Blade Magazine" Knife Accessory of the Year awards and an international award for innovation at Germany�s Practical World Exhibition.